1. 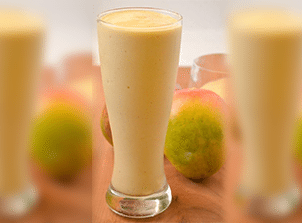 In a blender combine 250 1 cup of the water, Grace Tropical Rhythms Pineapple Ginger, ripe banana and mango. Blend well. 2. Add remaining water, lime juice and white rum and then sweeten to taste. To Serve: Chill or serve over cracked ice.